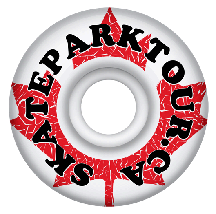 Everybody who visits Skateparktour.ca enjoys skateparks. Whether they skate, BMX, scooter, inline, or mountain bike, skatepark users love to ride, progress and learn more tricks, and share good times with their friends. Skateparktour.ca comments share this same ethic. Some discussions might get heated and that’s okay because we personally care a lot about some topics and will passionately defend our opinions. For discussions to thrive here, we need to remember to criticize ideas, not people. Hate speech or flaming. This includes racist, gendered, ableist, ageist, homophobic and transphobic slurs and language of any sort. Spamming is prohibited. This means no unauthorized advertisements. NSFW topics and language. Keep it friendly for our young community members too. Before joining in a discussion, browse through some of the most recent and active discussions happening in the community, especially if you’re new there. If you see an issue, contact the moderators if possible or flag any comments for review. If you believe someone has violated the Basic Rules, you can flag the user’s profile.